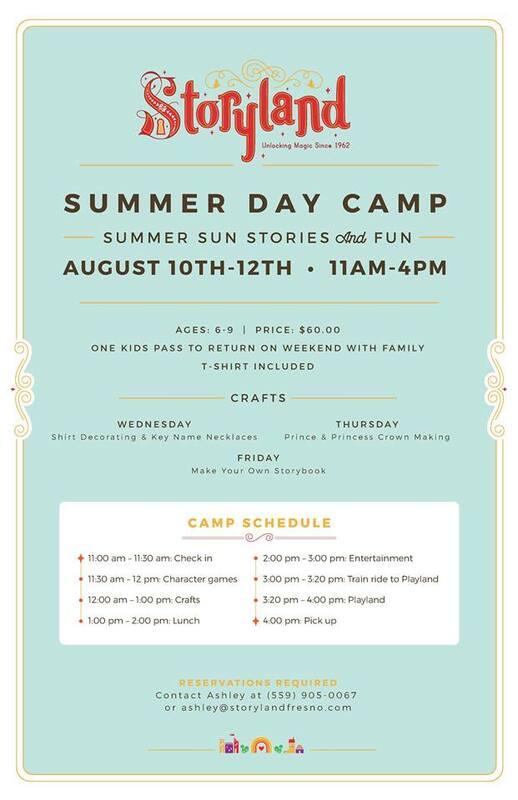 We’ve added some great weekend entertainment to our Summer calendar at Storyland. Little ones will be enthralled as they hear their favorite stories as told by Mother Goose in the Daniel R. Martin Children’s Theater. 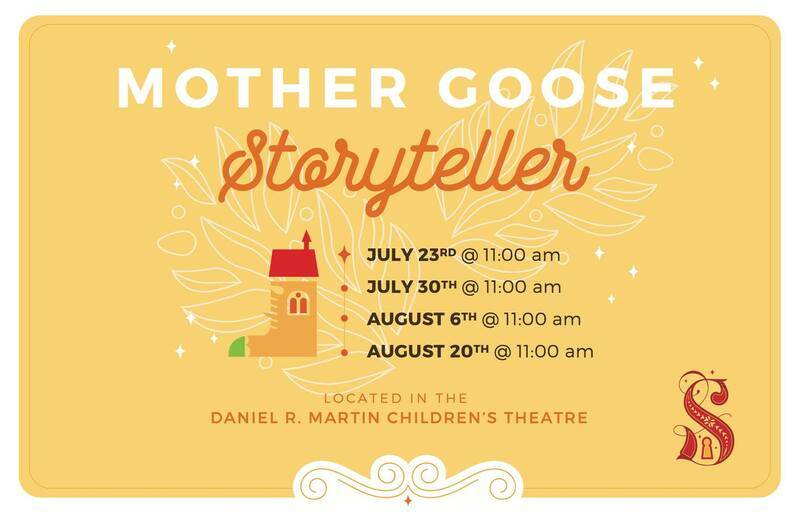 You can catch Mother Goose at 11am on July 30th, August 6th, and August 20th. 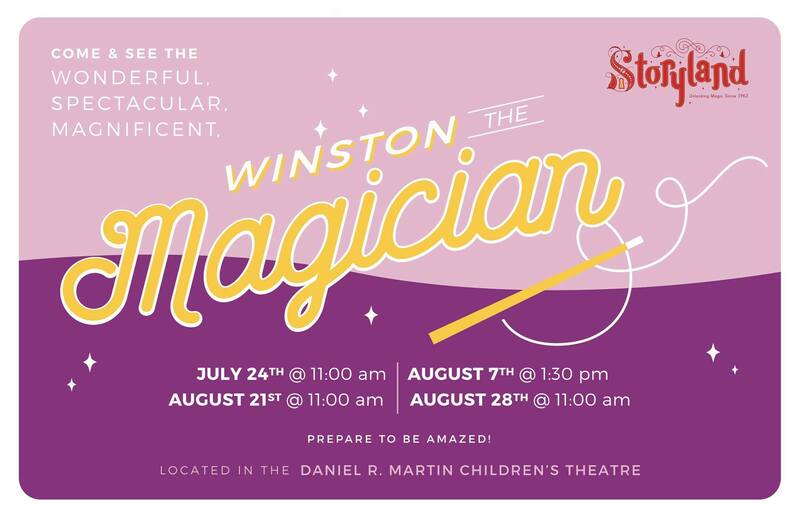 Be wowed by Winston the Magician as he presents a spectacular (and silly!) magic show on August 7th at 1:30 PM, and August 21st and 28th at 11 AM. In between all the Magic and Mother Goose, we have Storytime with our Characters. Let Alice tell her story (Or maybe even Goodnight, Moon or The Very Hungry Caterpillar!) while you sit in the shade of the big trees surrounding the Daniel R. Martin Children’s Theatre. Storytime is every Saturday and Sunday at 11am and 2:30pm! The Storyland Playland board announced its plans for park improvements and the reopening of Playland in April. 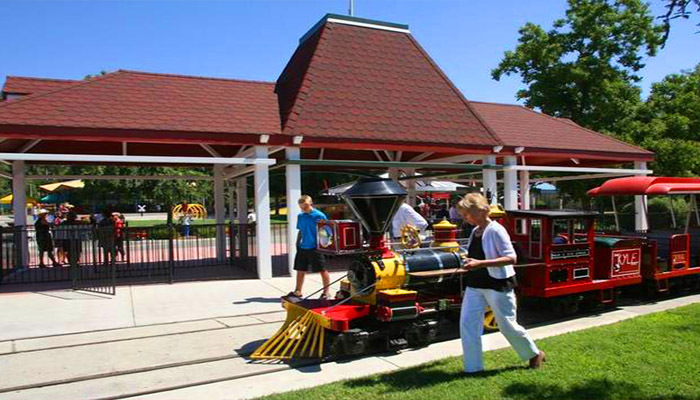 The two historic attractions in Roeding Park in central Fresno, which were opened in 1955, were closed in March 2015 due to a lack of revenue. Storyland was reopened in September and has since had more than 25,000 guests come through its gates, park leaders say. Playland’s public reopening is scheduled for April 22, with an invite-only preview on April 21 for disadvantaged youths. A $150,000 donation from the Daniel R. Martin Foundation will help pay for Playland’s reopening. The foundation previously gave $200,000 for the reopening of Storyland. Other companies and organizations helping to reopen the park include Lithia Motors and Rotary Club of Fresno. The board hopes the remaining amount can be raised through community and corporate donations. Plans for the park include installing a teacup ride in June that park leaders say will be reminiscent of what Playland once had. Leadership Fresno, a nonprofit affiliated with the Greater Fresno Area Chamber of Commerce, announced that this year’s class will help build a waiting area for the park’s Willis B. Kyle Express Train Station. One of Fresno’s most beloved attractions got some special attention Thursday. About a dozen people spruced up Playland. Barr said the six-week program will give these men a look at different trades, from ironworkers to cement masons to plumbing. Bartels used some of his Navy knowledge and skills to help improve Playland. Now his goal is to find a career. As a part of the program, the men will also learn life skills. “We do expectations. We also do elevator speech. Being able to greet people, being able to introduce themselves, present themselves in a way that people want to talk to them or interview them,” said Barr. Barr said highly skilled workers are in demand and training now will pay off later. Part of the program includes giving back and many were happy to help in any way they can at Playland. “I really like being able to help it out and restore it to what it was like when I was a kid, and pass it on to the future generations– my daughter and such,” said Bartels. Officials said the volunteer work means a lot to this non-profit. Playland is expected to open in late April. Brook and Robin Lopez — twins, Fresno natives and professional basketball players — have together donated $25,000 to help save Storyland. The Lopez brothers donations brings the effort to save Fresno’s Storyland/Playland children’s attractions closer to an $850,000 goal. Nearly $500,000 has already been raised, making it possible to reopen Storyland earlier this month since its closure in March. The Lopez brothers graduated from San Joaquin Memorial High School in Fresno, going on to play college basketball at Stanford. The pair was drafted by the NBA in 2008. Robin Lopez currently plays for the New York Knicks and Brook Lopez for the Brooklyn Nets. “Storyland was a great part of us growing up in Fresno and I am so glad we are able to help bring it back to life,” said Robin Lopez in a statement. Storyland has been renovated, and is currently in the process of being made compliant with the Americans with Disabilities Act. Playland is scheduled to reopen in spring 2016. Big things are happening at Roeding Park. 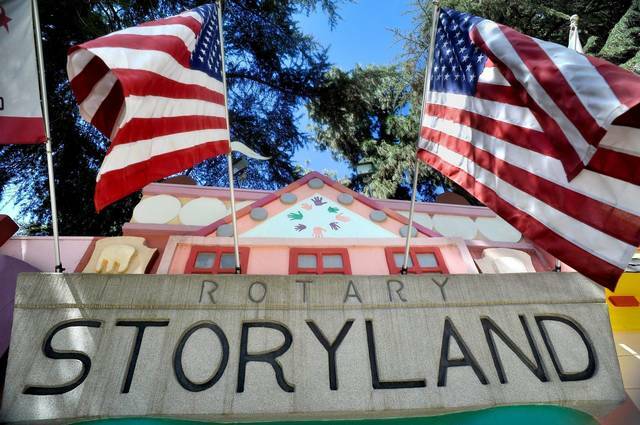 After months of fundraising, Rotary Storyland has officially opened its doors. “It’s really an emotional experience,” Vice-Chairman Bruce Batti said. There was a park created with one purpose: to tell stories. But over time, this park, deteriorated. “There weren’t a lot of people here. It wasn’t in good shape,” Batti said. But then, a group of people came to the rescue..
“We thank the community so much for getting behind this project, for letting us know they love Storyland,” Batti said. Batti says their efforts started back in March. The group used Valley Yellow Pages to get the message out. Over time, envelopes with donations found their way back to the parks. “Some of them with big checks, some of them with notes, handwritten in crayon with $2 in it, saying please open Storyland, we love it,” Chairman Scott Miller said. Even 10 year old Jaida Jacobie pitched in, using her birthday as her own fundraiser. “No presents, take all of the money that you would give me for my presents, and we’re going to raise $500 as a group,” Jacobie said. Jaida was only able to raise 480 dollars with just her presents, so she took the last twenty out of her own savings. “I just knew I had to save it because. They gave me the experience I wanted so I wanted to give that back to them,” Jacobie said. Now thanks to the love from Jaida and everyone else who chipped in, Storyland is in full swing. The first day already a hit with merry-go-rounds, storytellers, and even the train, all back on track. It’s a place parents remember when they were kids, and now want to share with their own. “It’s something in Fresno we don’t have, something you can’t find everywhere, so growing up here, it’s just a memory,” visitor Allison Gregg said. About $500,000 have been raised so far. 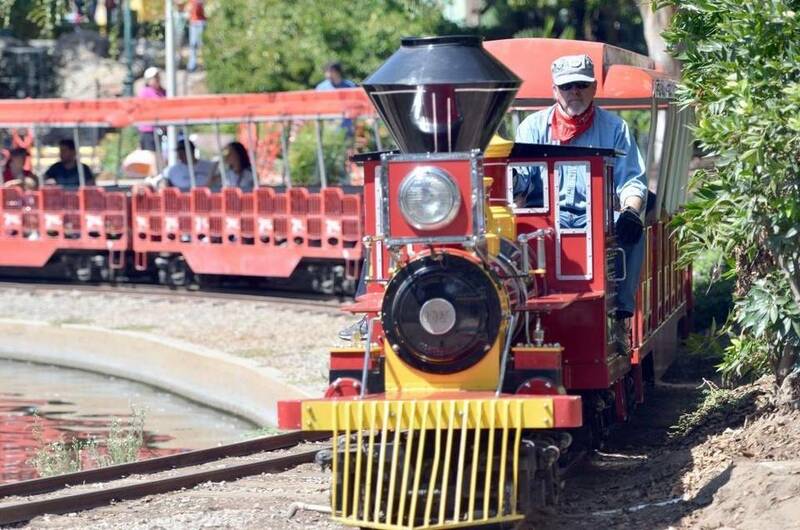 About $100,000 has gone to opening Storyland and the train. Board members say Playland will be open by next April. One of the happiest places in Fresno is back in business. Storyland re-opened Friday morning, roughly six months after closing due to a lack of funding. The Fresno park was able to re-open due to half a million dollars of community support. 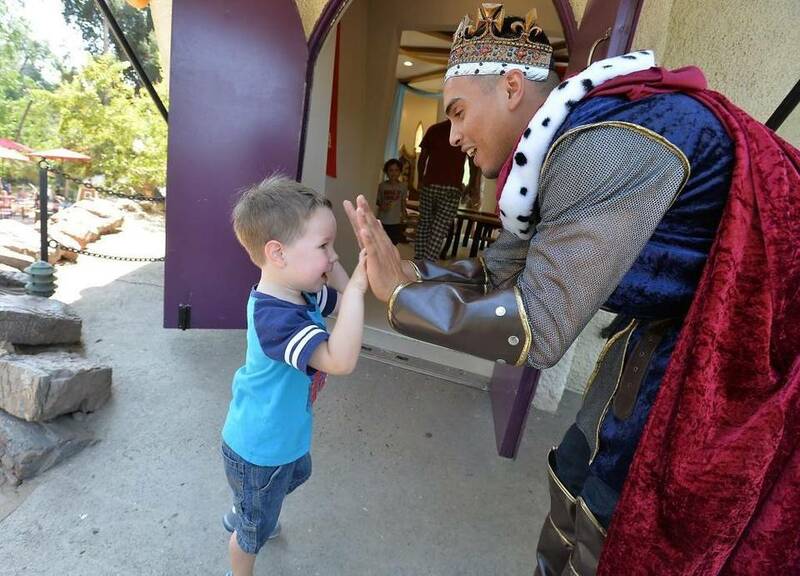 Friday young and old got to see that Storyland underwent a major makeover. The paint is shiny new, the trees look healthy again and the landscape has a fresh coat of bark. The train is also running again. The creek is running again and the walkways thru the park are ADA compliant. The castle has a fresh coat of paint and for young and old the magic has returned to Storyland. Hundreds of kids enjoyed the grand reopening of Storyland on Friday, while their parents relived childhood memories. The 60-year-old park was shut down last spring. Its backers were out of money. But like the seven dwarfs, volunteers worked hard, raised money and the gates opened Friday, bringing back fairy tale memories for many. But some adults who came here as children had trouble remembering the nursery rhymes that went with the displays. “There was an old woman who lived in a shoe, she had so many children she didn’t know what to do…something about putting them to bed,” one visitor said. Thanks to thousands of hours of work by volunteers, the place has been cleaned up, fixed up and put back in shape. Community members and local businesses donated $500,000 to get the job done. But more is needed. Playland, the amusement park with rides, next door remains shuttered. The hope is to raise another few hundred thousand dollars to get it opened by spring, once again making Roeding Park the place Gilbert remembers. “I mean this was just the coolest thing ever, to go here and then Playland and the zoo, you could hit three really cool things all in one day. So to have this back open and bring our kids here and share those memories that we have, it’s just an awesome experience,” Gilbert said. The kids should be tired after a full day at Storyland. The park will be open Labor Day weekend, Saturday, Sunday and Monday. Then the plan is to open it every weekend through the end of October. On a warm Friday morning in central Fresno, a dozen small children are playing in a shoe. This is nothing new; children have played in shoes, castles and cottages in these parts since 1955. 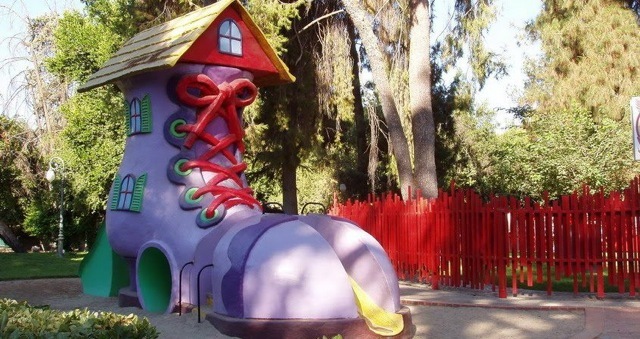 But thanks to a community effort that raised nearly $500,000 and donated almost 13,000 volunteer hours in six months to renovate Roeding Park’s iconic Storyland, these kids are enjoying a much nicer shoe. 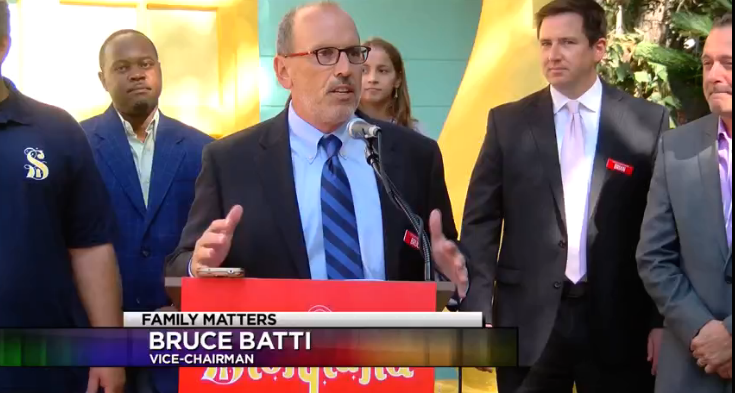 “We received checks for thousands of dollars, and we received notes handwritten in crayon with $2 inside asking for us to please save Storyland,” said Scott Miller, chairman of the Storyland/Playland board. Miller was flanked by vice chairman Bruce Batti at the 10 a.m. news conference before the official grand opening. Batti thanked several key donors and groups that contributed to the restoration effort. He specifically praised the Daniel R. Martin Family Foundation, which donated $200,000. Pinocchio’s Theater will be renamed the Daniel R. Martin Children’s Theater in honor of this gesture, he added. The amount raised to renovate Storyland and Playland so far. Batti drew the crowd’s attention to the Kyle Express, the park’s beloved train, which resumed its duties at noon Friday. Fresno City Council Members Oliver Baines and Esmeralda Soria also spoke at the event, as did Fresno County Supervisor Henry R. Perea and Fresno County School Superintendent Jim Yovino. Each wore green plastic keys tied around their neck with a simple ribbon. The keys, a Storyland tradition, activate the boxes that tell different stories throughout the park. However, 10-year-old Jaida Jacobie stole the show. Jaida donated her birthday money – and a little extra from her own pocket – to the cause. In all, she contributed $500. At 10:30 a.m., the gates to Storyland officially opened to the public. Several field trip groups from Edison Bethune Charter Academy and the Central Unified School District were the first groups to enter. Around 100 grandparents, parents and young children followed closely behind. They encountered a clean, green park checkered with brightly colored characters from fables and nursery rhymes. A green caterpillar of “Alice in Wonderland” fame greeted each at the entrance and asked them to find the other story boxes throughout the park. Storyland officials did not have a visitor count by the end of the day; by early next week they hope to report the full weekend total. The additional amount needed to reach the Storyland/Playland board’s funding goal. Some of the older students noticed the changes. Darien, a first-grader from Edison Bethune, said he visited the park last year on a kindergarten field trip. The ship, a fantastic wooden-and-metal re-creation on a rubbery blue ocean, now has real sails – a gift from Tent City Canvas House in Fresno. Luis Figueroa, 4, said his father brought him last year. The park has undergone a noticeable facelift, but the job isn’t finished. Some of the story boxes still aren’t working properly, which Miller said has been a struggle for volunteers. One of the first families through the gate discovered this work-in-progress immediately. A little girl ran right for the “Three Little Pigs” story box, inserted her key and turned it – nothing. Her mom took a turn with the same result. “Sorry baby, this one’s broken,” she told the toddler. The family moved down the cement path to Humpty Dumpty’s wall, where the young girl turned her key and learned of a great fall. Fresno’s Storyland reopened to large crowds over Labor Day weekend, generating $62,782 in total revenue. The children’s park officially reopened on Sept. 4 after six months of renovations and upgrades including fresh paint, new landscaping, ADA-compliant walkways, and renovated restrooms. 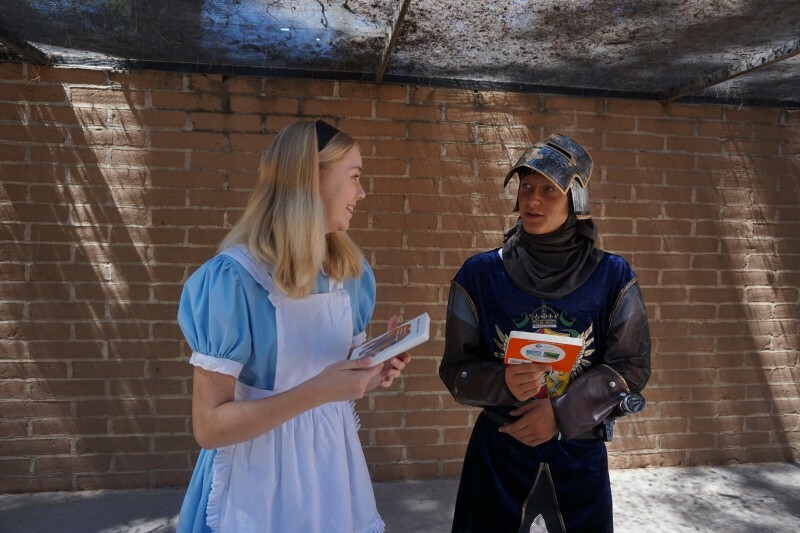 Storyland saw 5,756 paid admissions over the holiday weekend as families were greeted by fairytale characters, face-painting artists, songs, dance, food and drinks. A special adults only “Happily Ever After Party” also helped draw nearly 712 community supporters. Storyland admission prices will remain the same — $5 for adults, $3.50 for children and $4 for seniors —as the park remains open and the board continues to fundraise for future improvement projects such as the reopening of the adjacent sister park Playland, which is expected to reopen by April 2016. The two closed their gates earlier this year due to lack of funding. At the time, the board estimated it needed $850,000 to reopen both Storyland and Playland. 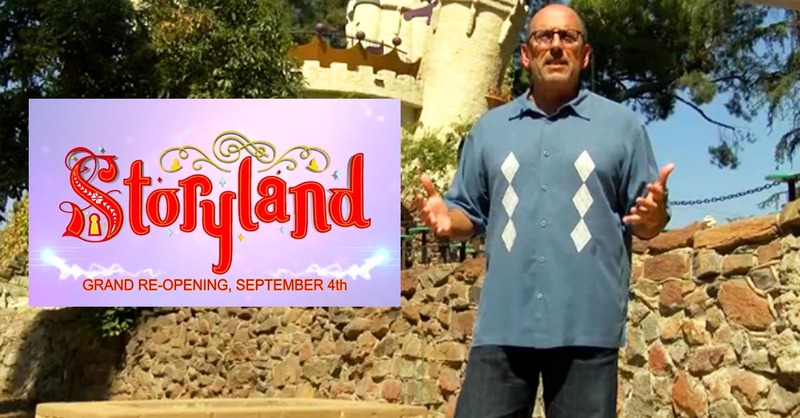 Storyland Grand Re-Open Will Be On Labor Day Weekend! Once again stories will be told. “It is really a guided tour through a land of enchantment.” Says Storyland Board Member Bruce Batti. “We are working hard making sure it is a prideful place.” The water is flowing again on and colors are brighter than ever. Built in 1962, Fresno’s historic Storyland park has been closed for nearly a year. “It is a unique one of a kind property in the valley.” says Batti. “Currently we are at about $450,000 in money that we have raised.” After community support and donations board members were able to get the park back up to par. “The money was necessary first of all to bring the park back up from disrepair, things had to painted, sidewalks had to be repaired, ADA issues that we had to take care of.” adds Batti. Alarms, cameras, and the story telling boxes are all back on. The park will have eight employees, but its opening was made possible by volunteers. “I think this means hope for Fresno.” Says park volunteer Elaine Robles-McGraw. “I wanted to be involved so that other families and children could have the same memories that I did as a child.” Board members are hoping to raise another $400,000 dollars by the end of the year. Batti says he hopes more memories will be made when the park reopens September 4th. You can visit Storyland.com to donate or volunteer.